Back in 2011, there’s certainly not many people are familiar or even interested in the world of augmented reality and animation. But, Ear Uy came in with fresh perspective and really just a pure love of gaming world, decided to build Sabay Osja Co. (CBN-KH000000055), which now has become a home for 17 aspiring young people to do some interactive apps development as well as animation. Entering market that was relatively had no audiences surely is no easy feat. 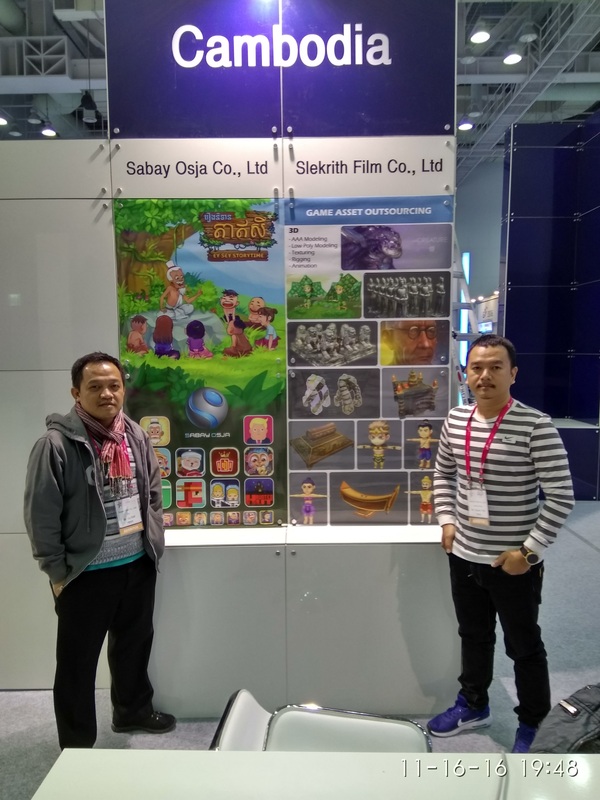 So, with few other friends who also love games just as much as he does, he started Sabay Osja Co.
“At that time in Cambodia, there’s no one doing it and no school taught about game development. With the booming of smartphone, however, I’m confident this will work,” explain Ear Uy during our conversation. Challenges appeared when they started recruiting. They cannot find a great programmer so they are left with the choice of recruiting and teaching youths how to develop games and apps. “It was a lot of trial and error, especially when the game is ready to be launched to publishing site” he added. Courtesy of Sabay Osja Co. But, their persistence paid off. Their company got a chance to join Demo ASEAN in Vietnam, and to their surprise, they won it and were flown to the US to pitch about their game in Demo Fall Silicon Valley. They continued to thrive with no less than 20 games, one of them called Asva the Monkey which have won special jury awards in Tokyo because of its depiction of Asian character. Their latest creation, Osja AR, is an augmented reality app is a way for them to introduce AR to Cambodians, using Khmer Language and 3D Cambodian character dancing as a welcome. Watch their amazing works below.